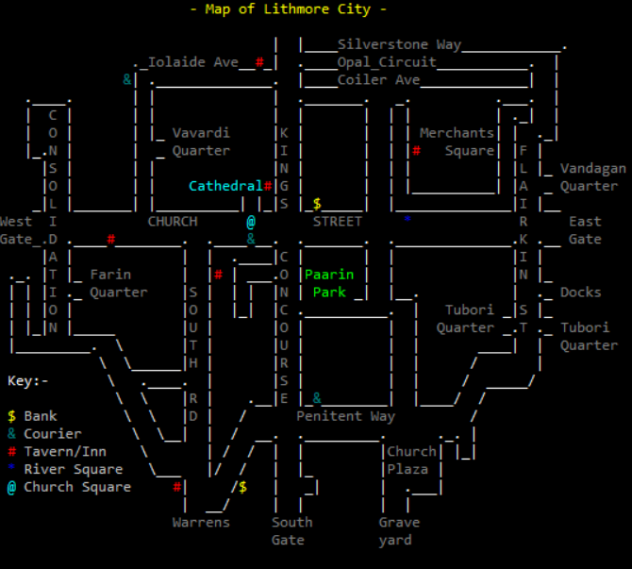 While in the game, you can type HELP CITY MAP to access the map below. 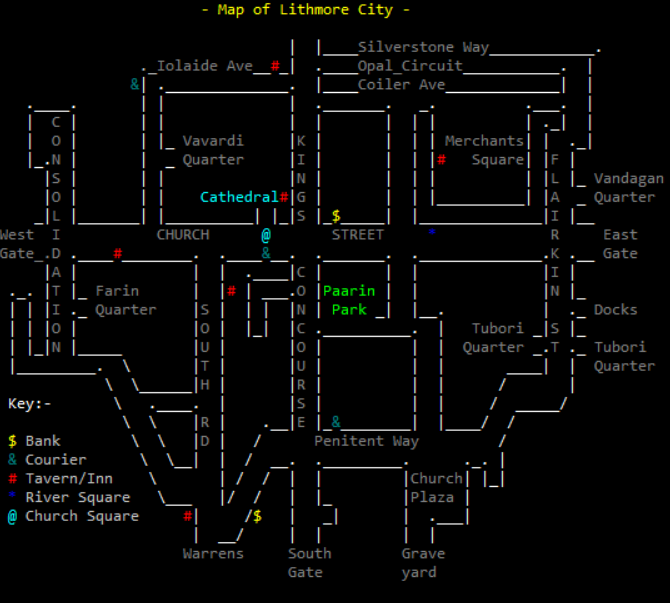 Other great maps to start with include HELP MAP OF LITHMORE, and HELP KINGDOM MAP. The rest of the duchies also have maps. To get the most up-to-date maps, use HELP MAP OF <DUCHY>. The other Duchies in the Kingdom are: Farin, Vandago, Tubor, and Vavard.